Haagen-Dazs will have its own Free Cone Day in May. Everything tastes better when it’s free, even ice cream — somehow. And now that you can finally start thinking about frozen treats again, Häagen-Dazs is doing its own ice cream giveaway. 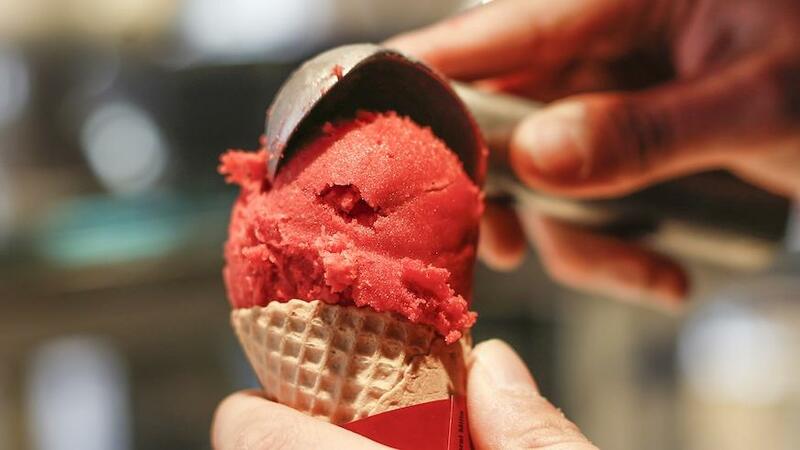 The New York-born brand will hold its annual Free Cone Day on Tuesday, May 8, when you can visit participating Häagen-Dazs shops between 4 p.m. and 8 p.m. to receive one free scoop of ice cream or sorbet in a cup, sugar cone or cake cone. Find the nearest location to your free scoop here. Now that you're flush with cash and goodwill, Häagen-Dazs is asking people to throw a couple bucks toward helping out a community that could use more support: honeybees. The nonprofit Xerces Society is working to build 1 million acres of new habitat for bumblebees, which have been dying off in massive numbers from still unexplained colony collapse disorder since 2006. Without bees, one-third of crops worldwide would be affected, including the almonds in Häagen-Dazs’ Rocky Road, the coconut in their Toasted Coconut Caramel and the raspberries in their sorbet. Since 2008, the company has donated over $1 million to support honeybee research and is encouraging everyone to play a role in supporting pollinators by planting wildflowers in their gardens that are native to their region. If you’re in New York and want to see how spectacular these vital local blooms can be, check out Fort Tryon Park. You can find which plants are native to your state at the University of Texas’ Wildflower Center.